Boomer Rocket Team received 3rd place at the Argonia cup competition. The event took place in Argonia, Kansas from March 30-31, 2019. The competition objective was to launch a rocket-powered vehicle in excess of 8,000’ AGL. 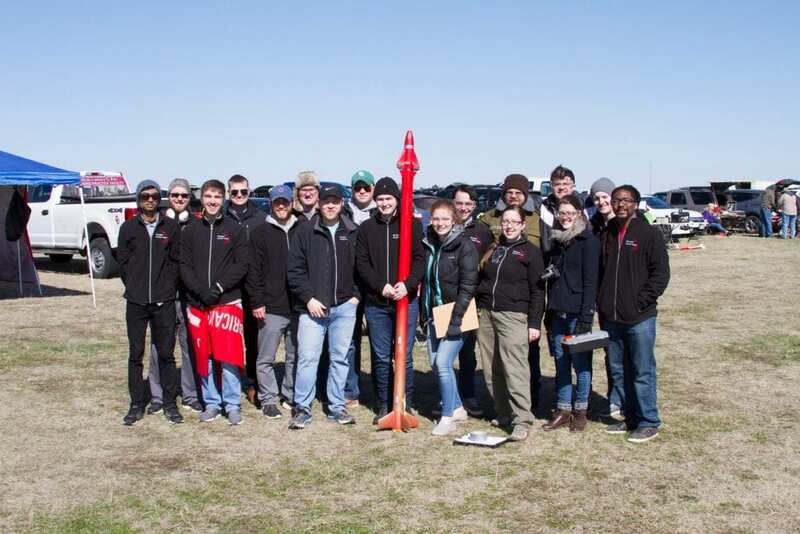 The rocket had to contain a golf ball payload, and the team had to recover the payload safely at a predetermined location on the rocket range. 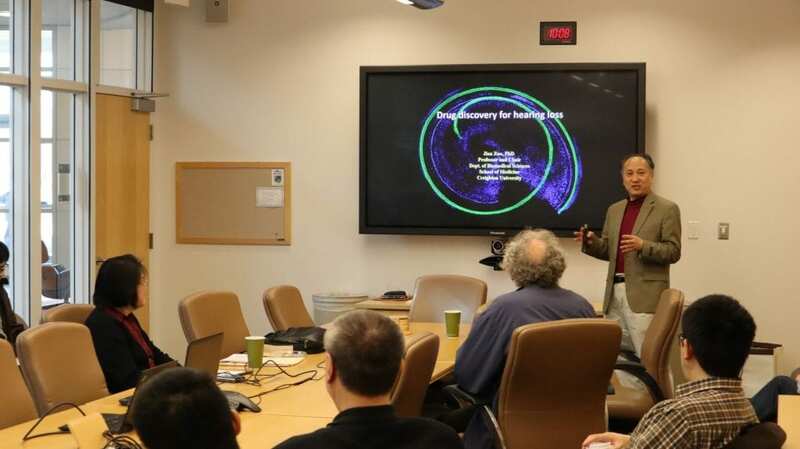 Imraan Faruque, Ph.D., gave a presentation on Monday, March 25, 2019 on how biologically-driven flight control strategies can inform unmanned aerial vehicle swarms. Dr. Faruque is an assistant professor for the Department of Mechanical and Aerospace Engineering at OSU. Abstract: This seminar introduces a framework for deriving feedback design principles that can enable insect-based flight control approaches on unmanned aerial systems (UAS) and engineered extensions to groups of UAS. The seminar begins by establishing flight dynamics models of dipteran flapping wing insects, combining automated high-speed videography measurements of freely flying insects, experimental aerodynamics results, rigid body dynamics, and system identification techniques to distill high fidelity flight dynamics models into computationally-tractable models applicable to flight control analysis. Methods to extract models of the closed loop controllers implemented on insects from free flight trajectories are discussed. Linear matrix inequalities are applied to interpret the controllers into design principles that can translate the extracted controllers into those appropriate for engineered vehicles, and improvements in experimental techniques to quantify multi-agent aerial insect behaviors. Control-theoretic definitions of reachability are applied to the aerodynamic mechanisms involved in insect-scale flight control and gust response, leading to a theoretic framework for the gust response properties of closed-loop flight control and the engineered design of gust-aware flight controllers. Biography: Imraan Faruque’s research interests include reduced-order models of complex systems, biologically inspired locomotion and control systems, unmanned aerial systems, and flight dynamics and control. Dr. Faruque’s specialization is in dynamic models of flying insect feedback, and in reduced order flight dynamics models that can concisely capture the dynamic properties of insect flight control, where his work has led to over 40 publications, including numerous best paper awards and patents. 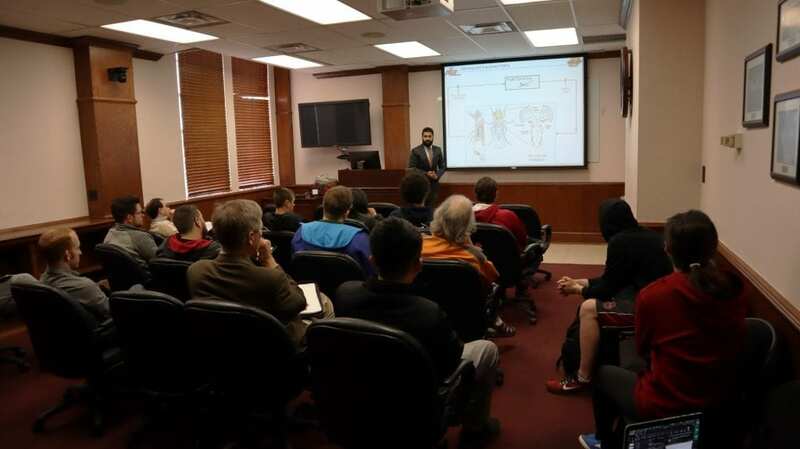 Dr. Faruque is currently an Assistant Professor at Oklahoma State University’s Department of Mechanical and Aerospace Engineering, with an appointment as Assistant Research Professor in the University of Maryland’s Department of Aerospace Engineering. He is an honors alumnus of Virginia Tech, and received his MS (2010) and Ph.D. in Aerospace Engineering in 2011 from the University of Maryland. He previously held research positions at the Army Research Lab, the Air Force Research Lab, and at General Electric Aircraft Engines. ASME is looking to raise $1,000 for their Thousands Strong campaign. The money will go towards next year’s travel expenses to E-Fest, the national ASME conference. The American Society of Mechanical Engineers (ASME) has set a purpose to engage, enrich and connect engineering students at OU. They host a variety of social events, skills trainings, tech talks, and community outreach events. ASME has something valuable for every student. Your contributions would help to alleviate stress for students having to fund their own travel. In addition, your contributions would also help ASME to continue to host all of their year-round events. 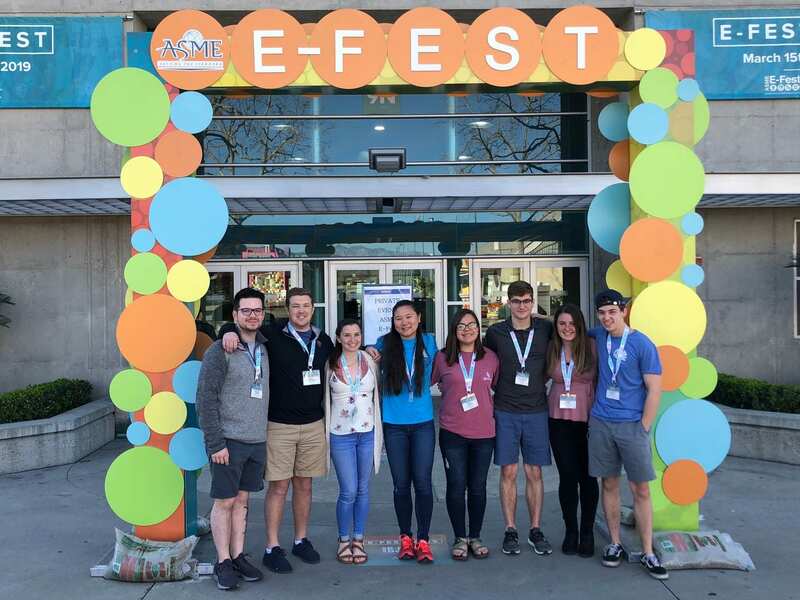 ASME OU received multiple awards at E-Fest West, ASME’s national conference. The conference took place in Pomona, California on March 15-17, 2019. The ASME OU Officer Team won 1st place in the Altair Design Optimization competition. Treasurer Matt Muhlinghause won 1st place in the Old Oral Guard competition and the technical award for the Old Guard Oral competition. ASME’s Engineering Festivals (E-Fests) are regional events for engineering students that include design competitions, career development workshops, access to thought leaders and innovators in various engineering fields, and networking opportunities. They host many competitions, leadership opportunities, and social activities for students to meet engineers from other colleges. 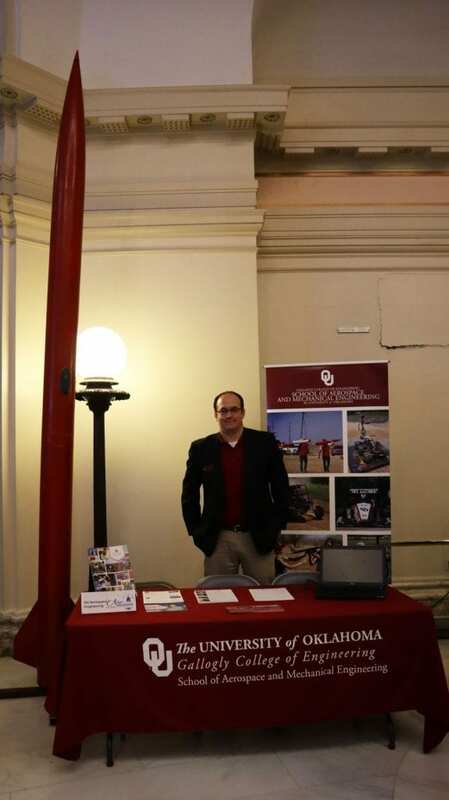 Professor Thomas Hays and AME Communications Coordinator Rebeka Morales represented AME at the AERO Oklahoma Aviation & Aerospace Awareness Day on Tuesday, March 19, 2019. The event was held at the Oklahoma City Capitol and open to the public. “AERO Oklahoma” Day places aviation and aerospace organizations front and center. As Oklahoma’s second largest industry, the purpose of this awareness day was to recognize this vital economic engine and to provide a greater understanding of the impact aviation has on the lives of Oklahoma’s citizens. It is a unique opportunity for Oklahoma aerospace companies, private and commercial pilots, airport managers, municipal officials, drone pilots, educators, flying clubs, and many other users of the Oklahoma Airport System to meet one-on-one with state legislators and other elected officials regarding aviation. During this aviation and aerospace awareness day, free exhibit booths from over 80 companies were represented. The University of Oklahoma’s Undergraduate Rocket Research group launched a rocket in Argonia, Kansas on March 10th, 2019. Dr. Thomas Hays and his students are proud of the results. The rocket had a maximum speed of Mach 1.15 and weighed 105 pounds. The students involved in the launch were Kaley Hassell, Jarod Manning, Alex Speed, and Scott Tesser. Congratulations on your successful launch! Click here to watch the video of the rocket.